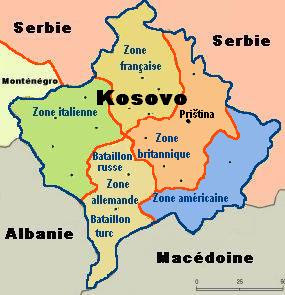 The United Nations has unveiled its plan for the future of the Serbian province of Kosovo. It is the bitterly contested region's first step toward eventual independence. In the 21st century, it is rare to witness the birth of a new nation-state. But Kosovo's first birth pangs as an independent country could be felt Friday as the United Nations unveiled a report on the future of the hotly contested Serbian province. UN envoy Martti Ahtisaari handed the UN plan for the future of Kosovo to Serbian President Boris Tadic on Friday. Serbian Prime Minister Vojislav Kostunica, who is a nationalist, snubbed Ahtisaari by refusing to meet with him, forcing Ahtisaari to meet with Tadic instead. The plan formally presented to Tadic is "a result of one year of intensive negotiations with the parties," former Finnish president Ahtisaari said. "It is a compromise proposal," he said, adding that further consultations between the parties could be held later this month.